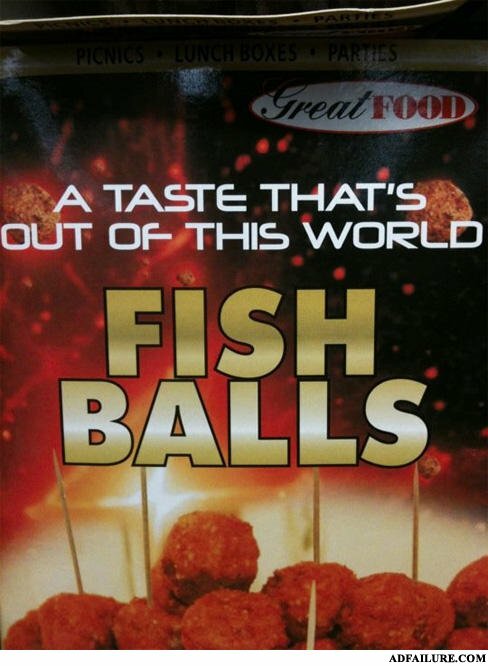 I don't get why this is funny, fish balls have been around for ages? Second only too my SCHWETTY BALLS. Do you like them in your mouth? "Plays starwars theme for added effect"
Why is eating fish eggs okay but not fish balls? Would you like some fishsticks with that? If youre African, why are you white?